New Gartner figures published this week reveal that the global smartphone market recorded its weakest year-on-year growth in the third-quarter since the research firm began tracking the industry. The study found that worldwide sales reached 36.5 million units in the quarter, an 11.5 percent increase over the same period in 2007. Nokia retained its market-leading position with a 42.4 percent market share but saw sales decline 3 percent over the year. 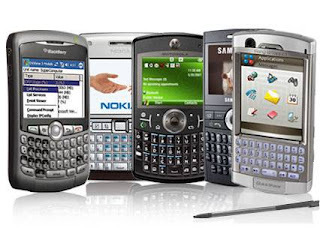 In the smartphone operating system (OS) market, Symbian commanded 49.8 percent of global sales to end users in the third quarter, the first time its market share has fallen below 50 percent. The study also found that strong sales of Apple's iPhone 3G in the quarter meant that its operating platform, Mac OS X, overtook Microsoft's Windows Mobile for the first time to claim the number three position in the global OS rankings (behind Symbian and RIM). It took Apple less than 2 years what Microsoft has been trying to do forever with Window's Mobile. Ever wonder why Microsoft is still in the mobile business?